'Creation or Evolution' is a new E-book published by the Christadelphian office (CMPA). The book has previously available as a hard copy. It is intended to be used as a preaching booklet. The author, John Hellawell, is a trustee of the CMPA. He is a Young Earth Creationist who does not believe in Evolution. This is the default teaching of the Christadelphian magazine, the Testimony magazine and the Logos magazine. This is the thinking of the majority of the Christadelphians, although there are a growing number of dissenters who accept Evolution and the great age of the Earth. Prior to the mid Twentieth Century, the default position of the Christadelphian community was Old Earth Creationism. The Christadelphian pioneering brethren and editors of the Christadelphian magazine were all Old Earth Creationists. Young Earth Creationism was adopted by the religion following the publication of the Evangelical work "The Genesis Flood" in 1961. For reasons that I do not understand, John Hellawell appears to conceal his Young Earth beliefs in both this book and in his public lectures on the subject of Evolution. However in questions after one of his lectures, one of his questioners did get him to admit that John believed the age of the Earth to be only a few thousand years. Such a belief, if held by John, would be scientific nonsense. 'Bible Teaching About Creation' quotes several different Bible verses from both the Old and New Testaments that state that God created the World. It concludes with a quotation from Hebrews telling us that belief in Creation is a matter of faith and that Christ endorses that belief. The chapter offers no empirical evidence that the World was created by God. It offers no evidence that God exists, or that the Bible is inspired by God, or that the Bible can be relied on as true. It offers no reason why we should believe the verses that it quotes, or that we should believe what we are being told by John Hellawell. 'The Purpose of Creation' quotes several Bible verses from both the Old and New Testaments that state that the purpose of God's creation is to create rational beings, made in God’s image to reflect the attributes of their Maker. This is contrasted with the "purposelessness of evolution." 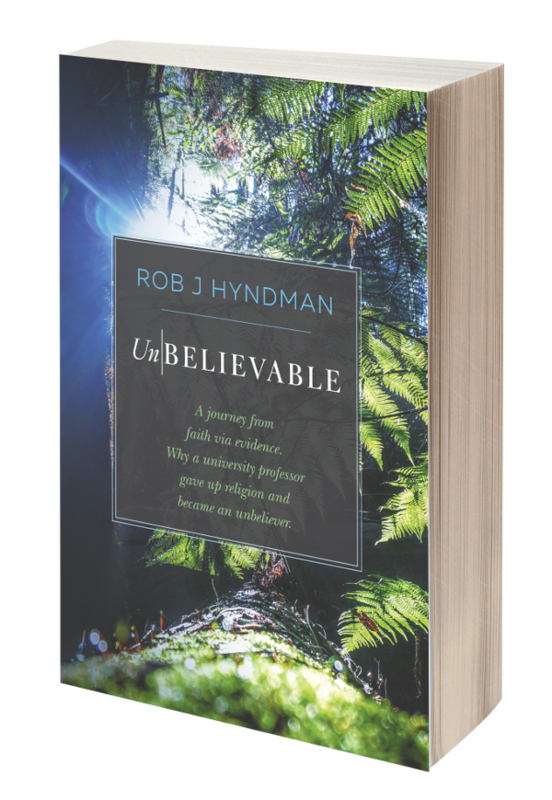 "If, as most humanistic evolutionists aver, there is no Creator and the universe around us and, in particular life on earth, resulted from essentially random events, then our existence has no meaning or direction." 1. The origin of the Universe has nothing to do with the subject of Evolution. Evolution begins after the origin of the Universe and after the origin of life. It is the "evolution of species" NOT the origin of the Universe, or the origin of the Earth or even the origin of life itself. Those things don't evolve. Living species evolve. Life is the opposite of death. But life itself cannot evolve. It either exists or it does not. This basic misunderstanding alerts the reader to the fact that the author must have only an amateur understanding of the subject that he has chosen to write about. 2. Modern science, including Cosmologists and Biologists, universally believe that the Universe originated and developed, and that living species originated and evolved on Earth; as a result of the natural laws of our Universe, (of both physics and biology), shaping matter and energy into the forms that we now observe. This process is the exact opposite of the "essentially random events" stated by the author. "Random" means no cause and effect. But there is causality in Evolution; because it can only follow the laws of nature and it is impossible for it to deviate from obeying those laws. Those laws are its cause. It is not "random" that an apple falls to the ground from a tree. It is obeying the law of gravity. It is not "random that a chick hatches from a hen's egg. It is following the laws of nature. It is not "random" that different species of life evolved on Earth. They were following the laws of nature. This is a second basic and fundamental mistake by the author. It again demonstrates that he is approaching the subject of his book with an amateur understanding and knowledge of Evolution. 3. Hellawell's assertion that "If ..... there is no Creator ..... then our existence has no meaning or direction" would be false even if Evolution were random (which it is not). Sentient beings have the intellect and ability to give their lives "meaning and direction." For example an Atheist doctor working to relieve suffering and illness in the Third World has a rich "meaning and direction" to his life. My work to care and provide for my wife and children give "meaning and direction" to my life. The forty two years of my life that I devoted to building a global company manufacturing and distributing safety lighting equipment gave "meaning and direction" to my life and saved hundreds of people from death and serious burn injuries. This is a third serious mistake by the author. He fails to comprehend the simple philosophical point that life can have meaning and direction without the need for God or a creator. It may not be the "meaning and direction" that the author wants to impose on others. But that is his problem; not ours. "It is essential that the Genesis record is studied impartially and that attention is given to exactly what is said. There is a danger that it may be read with preconceptions as to what it says or even what one thinks it ought to say." This is an outrageous statement coming from an author who has just devoted his entire first chapter and the first part of the second chapter to telling us that God created the world, that this should be believed as a matter of faith and that the purpose of God's creation is to create rational beings, made in God’s image to reflect the attributes of his Maker. He is telling us to be "impartial" and to not have "preconceptions" when he has already done all in his power to implant "preconceptions" into his reader's minds. This is a forth serious mistake by Hellawell. He has alerted observant readers to the possibility that he is using deceitful methods to influence their thinking to conclusions that suit his purpose. He is asking them to think about his subject in ways that he himself does not practice. Hellawell is NOT impartial about this subject. His own salvation and eternal reward depends on his preconceptions being true. But nevertheless he is telling his readers that "it is essential" that they be open minded about accepting the conclusions that he himself believes. The author then spends several pages of the rest of chapter two telling us that the "revelation" about Creation in the book of Genesis might have been given to Adam, or it might have been given to Moses and that it is impossible to know who received the revelation, or who wrote it down for us to read. He also informs us at length that some people believe the Genesis record that God created everything in six literal days and that some other people believe that the creation DID NOT happen in six literal days and that instead it was revealed in six dreams, or perhaps visions, to Adam, or to Moses (or to whoever dreamt the whole thing up). Hellawell does not tell us what he thinks about these mysteries. "Contemporary geologists now believe that the evidence in the rocks suggests that the past was far more cataclysmic than their forebears thought." - But what this means is not explained. This is another mistake by the author. The concept of Evolution was discussed for up to one hundred years before Darwin and Erasmus Darwin, the botanist Grandfather of Charles Darwin, wrote on the subject. Charles Darwin and Alfred Russell Wallace proposed the theory of Natural Selection as one of the mechanisms of Evolution and Charles Darwin wrote extensively on the subject in support of the theory. However in the decades around 1900, Darwinian Evolution suffered the "Darwinian Eclipse" during which the theory fell out of favour with mainstream science. Other competing theories were suggested and investigated. Between 1936 and 1947 the Modern Evolutionary Synthesis was developed. This is a union of ideas from several different biological specialties which provides the current universally accepted account of Evolution. It is also referred to as the "Neo-Darwin Synthesis. Darwinian Evolution is as different to the Modern Evolutionary Synthesis as Newtonian Physics is to Einstein's theory of General Relativity. Moreover Nineteenth Century Geology bears little resemblance to the same subject in the Twenty First Century. For example Plate Tectonics was not known about in the Nineteenth Century. Hellawell appears to be entirely ignorant of the principles of the Modern Evolutionary Synthesis and never mentions the subject at all. As a result he makes statements and claims that are bizarre in their content and completely irrelevant to the subject that he is supposed to be writing about. It is as if the Christadelphians had cryogenically frozen one of their members during the reign of Queen Victoria of England and then defrosted him in the Twenty First Century and asked him to write a booklet on Evolution. "It has to be accepted, however, that Darwin’s ideas are incapable of scientific proof." "Very few, if any, mutations are beneficial. This was unknown to Darwin and is one of the major obstacles to the theory." "Basic facts of embryology, again unknown to Darwin, are against the theory." "Darwin and his contemporaries fully expected that the fossil record would reveal evolution in action. They believed that creatures intermediate between the typical forms would exist as fossils and it would be possible, as one explored successive geological epochs to trace the development of new groups. The absence of examples of these “missing links” in his day was attributed to the limited exploration of the geological strata of the earth. Now, almost a century-and-a-half later, these “missing links” are still missing." "Fossils are used to date the rocks and the rocks then provide the age of the fossils." These statements are vacuous nonsense to modern biologists in mainstream science. They display an absolute ignorance of the principles of Biology and Geology. The chapter continues to reveal the complete ignorance of the way in which fossil samples are dated by the process of 'bracketing.' The author does not even mention the word. Instead he invents a fantasy method of dating fossils that is unknown to Biologists and Geologists and then proceeds to ridicule his invented fantasy as if modern science was doing something foolish. The foolishness is in his own mind that he should be ignorant of how fossils and rocks are dated and that he does not even know that he does not understand the subject. Hellawell then discusses the mathematical improbability of Evolution and Irreducible Complexity; which are matters answered and debunked by Biologists several decades ago. Only a person with a profound ignorance of this subject would bother to proffer debunked and answered arguments. I once sat through a John Hellawell lecture on the subject of Evolution in which he declared that Darwin's seminal work "On the Origin of Species" was the most boring book that he had ever read and that he did not get past the first few pages. I can only assume that he similarly finds more modern works on Evolution to be equally boring and that he avoids boring his mind by refusing to study the Modern Evolutionary Synthesis. Or if he has read them, he has not understood their meaning. Or if he has read them and understood their meaning, then he is lying to his readers to further his religious agenda. I suspect the first of these three alternatives is the truth. This is a bizarre mistake by Hellawell. Not only has he misquoted, but he has completely misunderstood the meaning of the quote that he has misquoted. "The Darwin Wars" is not a book about whether Evolution is right or wrong. It is a book about the differences between Richard Dawkins and Stephen Jay Gould (who are both Evolutionists) about what it means to be human (philosophically) in the light of the fact of Evolution. Therefore when the reviewer wrote “Evolutionary theory is now one of the main myths of our time” he was using the word "myth" in the rather unusual meaning that it is one of the universally accepted facts of our time. He could not possibly have meant "myth" in the same way that King Arthur is a myth, because both sides in his "Darwin Wars" believe in the truth of Evolution. The reviewer actually intended the reverse meaning. He was using the word "myth" for effect, to sensationalise the fact that he was talking about something that is universally accepted as mainstream science - which Evolution is! This confirms my suspicion that John Hellawell is a shallow thinker, who skimped on the hard work of studying this subject in depth and who does not posses any ability or talent to lucidly express any form of opinion on this subject that he knows nothing about. "The fact that scientists without any religious affiliation have opposed the theory suggests that the matter is far from cut-and-dried. Some have been particularly outspoken regarding its inadequacies:......"
Once again Hellawell displays a wholesale ignorance of the source material of his own quotations and references. Behe DOES have a religious affiliation. Moreover Behe's works has been ridiculed and debunked by modern Biologists. - "Darwinism"????? What on Earth is Behe talking about? As I have already shown, "Darwinism" is a dusty relic of Victorian England. Modern Evolution is explained by the Modern Evolutionary Synthesis which includes Genetics, Mendelian Inheritance, modern methods of radiometric dating, the biogeographic distribution of species, vestiges and embryological recapitulation of evolutionary history, modern Anthropology, Genome Mapping, the discovery of hundreds of million of fossils with EVERY ONE in the historically correct rock strata, approximately a quarter of a million transitional fossils and hundreds of thousands of other pieces of evidence supporting the wonder of Evolution. Modern science reads the Genesis record impartially and without preconceptions. But it also reads it in the knowledge of the evidence that supports the scientific theory that has become known as the best attested fact in all of human history; Evolution. When Genesis is read from that perspective we can see it for what it is: A wonderful Creation story that forms a brilliant introduction to a fascinating book which we call the Bible. But it is a story that is not really true and a book that is not really inspired by a God that does not really exist. Those are things that we convince ourselves are true because of our primeval fear of the end of life. Believe those things if you cannot face the harsh reality of the cruelty of life and death. But like John Hellawell's book on Creation and Evolution; none of it is really true.